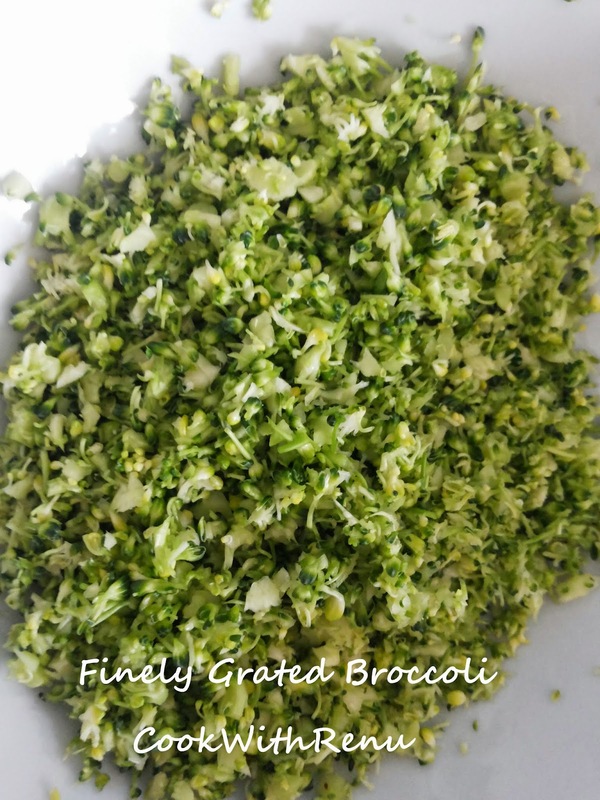 Broccoli is a common vegetable here, but difficult to feed it to your child or even elders. So I thought of experimenting this in paratha. I chopped the broccoli very finely and combined it with the paneer, as I did not wanted only broccoli and also to make a ball like stuffing. When I was clicking a photo of the paratha, with broccoli on top of it, my son said I do not want to eat the green thing. I said ok. But when he eat the paratha, he could not figure it out. And even my husband …hehe….when he finished half I asked what is the green thing, He could not guess. 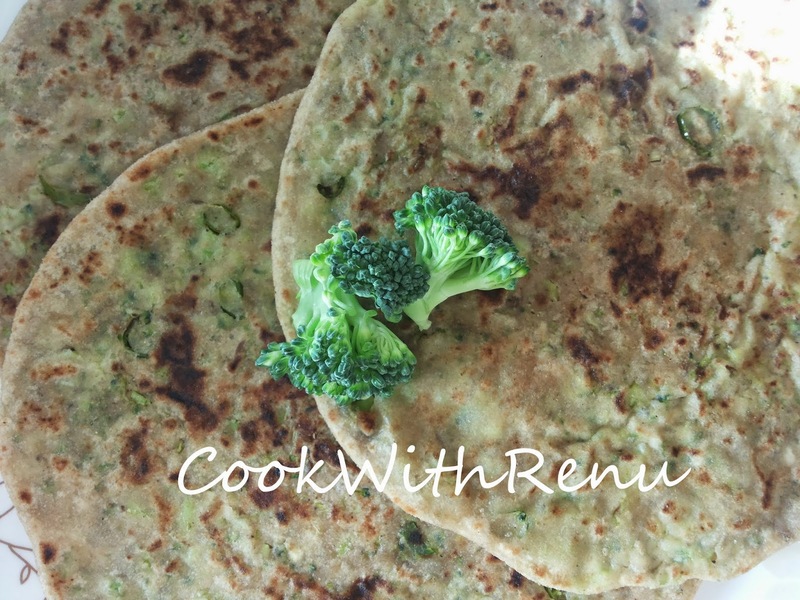 Eureka so got a way to make my family eat another monster vegetable…haha…yes monster……So here goes the recipe………..
Ghee for shallow frying the Paratha’s. 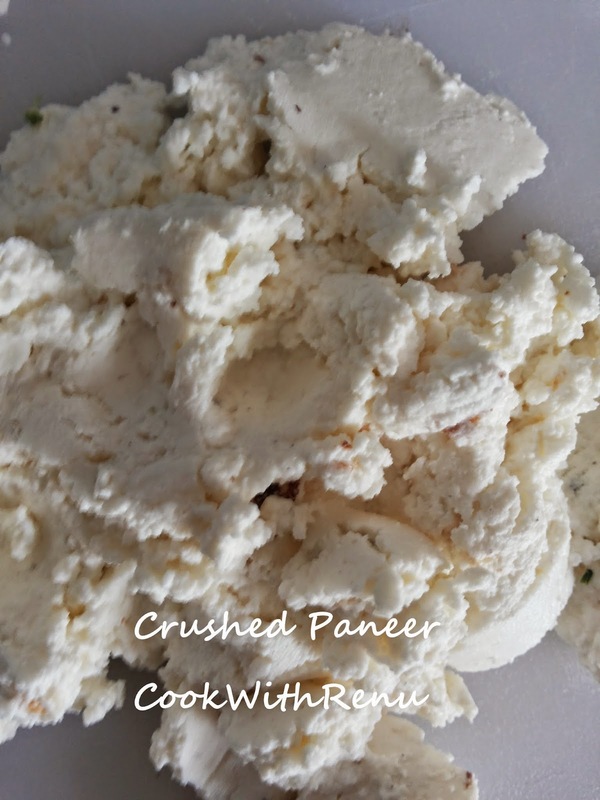 Chop the broccolli very finely and mash the paneer nicely so that there are no lumps. Take a lemon size ball of dough and roll it around 2-3 inch diameter. Apply a little ghee (just dip your finger and apply it). 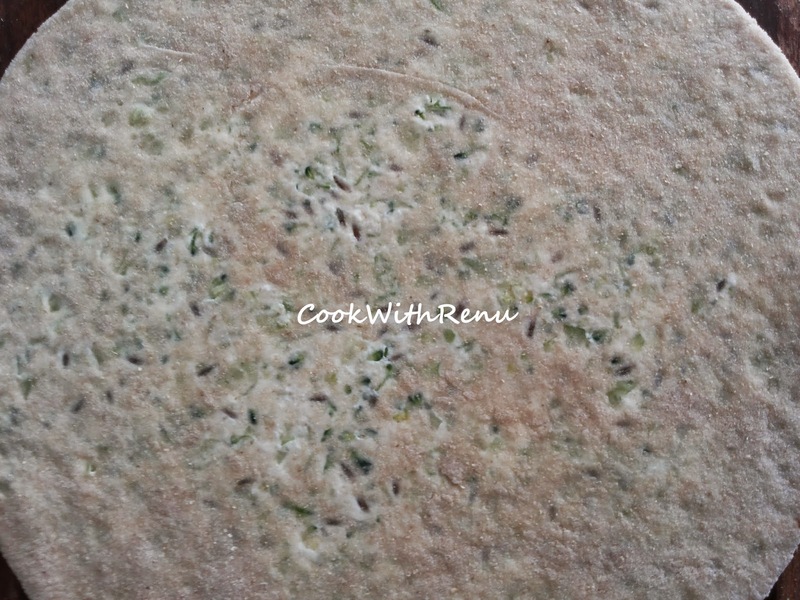 Take a little mixture of brocolli and panner (around 1-1.5 tablespoon) and seal the dough from all sides. Roll into a ball, and then lightly press & stretch between your palms so that the mixture is evenly mixed. Dip it into dry whole wheat flour. Now roll the paratha to the desired size (4-5 inch diameter). Do not turn in between just keep on rolling the paratha. If required add dry whole wheat flour in between. Serve it hot as is or accompany it with dahi/yogurt or pickle. I enjoyed it as is. My mother’s tip on making nice and fluffy chappati’s or paratha’s. 1. Make a soft dough not too tight. 8. For any stuffed paratha, it is best to first stretch lightly the stuffed dough ball in your hand so that the mixture is spread out evenly.